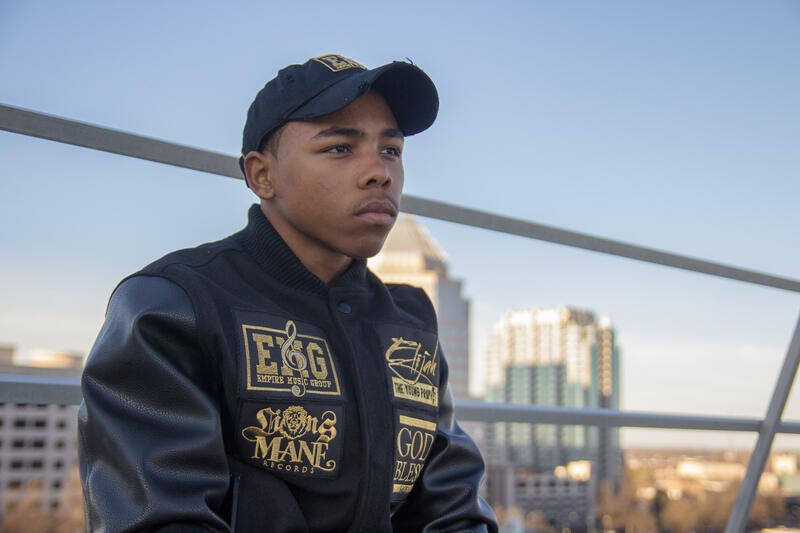 Meet Elijah The Young Prophit, the rising teenage rap artist who’s more than ready to get his feet wet in the game. Born in Motthaven, South Bronx and now residing in North Carolina, Elijah formed a love for Hip-Hop early, writing rhymes at the tender age of six and looking up to lyrical greats like Big L, Biggie, 2Pac, Jay Z, and other countless artists from the Golden Era. Aware that he was born in the birthplace of Hip-Hop, Elijah ensures that his lyrical content and style stays true to the culture as he touches on substantial, real-life topics despite his age. Elijah’s currently working on building his Y.B.A.I. movement which stands for ‘Young, Black, and Intelligent’ and putting the finishing touches on his upcoming EP via Empire Music Group and Lions Mane Records. We caught up with the young emcee to chat about his creative process, musical influences, dream collabs and more. Read on to get to know Elijah The Young Prophit. Elijah The Young Prophit: The Bronx has a few artists here and there. I don’t know about underground but there are some mainstream artists hailing from the boogie down. Cardi B, Fat Joe, Cory Gunz, Swizz Beats, and A Boogie Wit Da Hoodie to name a few. I feel like the Bronx is missing its sound. Even with all of these artists, it still feels to me that it’s not all the way there. One of my goals is to put Bronx back on the map and let these kids know where Hip-Hop originated. TDS: Would you say that you your music fits the sound of your city or does it go against the grain? Elijah: The Bronx? Definitely. But the city I am currently living in? No way. I was born in MottHaven, South Bronx and moved down here at a young age so I kind of had to adapt to this environment but that didn’t stop my sound from keeping its NY roots and heritage. Here in Charlotte, I think there is very little opportunity for me and if I were to expand and get to other states that share more than one sound, my sound would be welcomed with open arms. Everything is a process though and I’m willing to wait and work as long as possible for my success. TDS: How would you describe your style? Elijah: I feel as though my style is ahead of its time, and in the 90’s category when it comes to flow. I have people tell me I’m very witty and metaphorical when it comes to my lyrics. But in a track, I look for more than wordplay and punchlines. I want the listener to respect my effort and skill but also leave with something that will keep them thinking and wanting to come back for more. I’m a very obsessive person too, If I don’t like something, I redo the entire verse or if I don’t like the cadence, I’ll try out different cadences until I find the perfect one. My style is ancient to the game but I’m hoping to turn something ancient into something new for the youth. Elijah: I started writing lyrics when I was 6 years-old and doing cover songs at the age of 2. It sounds crazy but I’ve been surrounded by music mostly all of my 15 years. I really don’t know why I started writing. I think I was listening to Reasonable Doubt one day and thought to myself “I wanna rap.” And ever since then, I’ve been writing music. It’s been 9 years and counting. Elijah: Biggie, Nas, Big L, and Jay Z are the main influences but Jay Z has the most influence on my style. Elijah: My dream collaboration would be Nas. Our flow and delivery is perfect for one another. If I ever got the offer, there’s no way I’d refuse. TDS: What is the creative process like while making your EP? Elijah: The working process isn’t slow but it isn’t quick at the same. When I’m working on a project, I like to examine each and every piece precisely so I know what to keep and to throw out. I always find need for improvement but I never stress or overwork myself. It’s not difficult to write the songs, I just like to make everything precise before it takes the public ear. Obsession at its finest. TDS: How do you want the public to receive the EP? And are you looking to make a huge impact or individually touch people who feel connected to your music? Elijah: I want to make a huge impact because they’ve seen what I can do here and there but once I hit them with the EP, they won’t know what to do with themselves. It’s so versatile, some people have mistaken me for another person on some tracks. I feel like this game needs versatility and substance and this EP is filled with it. Get ready Hip-Hop, here I come. TDS: Aside from the EP, what do you have coming in the near future? Elijah: After the EP is done and sent to the world, I’ll start working on my very first mixtape. The first mixtape is a milestone in any rapper’s career so it’s extremely important that I do this. I plan to get to work as soon as possible and make more songs that people will remember for a very long time. Elijah: I want to give a shout to my manager J Money. Lyes Papparazzi, The Legendary CutLord DJ Swift, Young Fortune, my bro Jaland D Jones, Da General, and Big Seven from Time2GrindRadio. These are wonderful people that I am grateful to have in my corner. 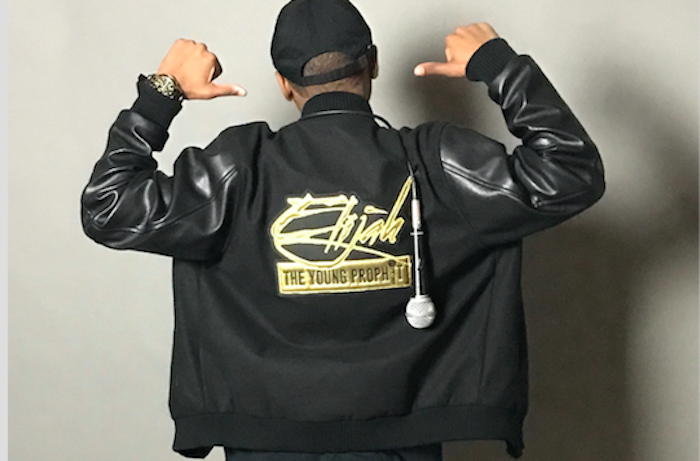 To stay up to date on Elijah The Young Prophit’s music, news and more, follow him on IG (@youngprophit) and Twitter (@iamyoungprophit). Tags: 2Pac, Big L, Big Pun, Biggie, Elijah The Young Prophit, Empire Music Group, Jay-Z, Lions Mane Records, Mobb Deep, Rakim, Y.B.A.I.